It’s been a wild and crazy spring, but summer is right around the corner! And with summer comes summer time gardening. And weeds. Although many weeds are actually beneficial herbs, sometimes there truly are weeds out there that you don’t want in your summer garden, sucking up all the water and nutrients your veggies should be getting. 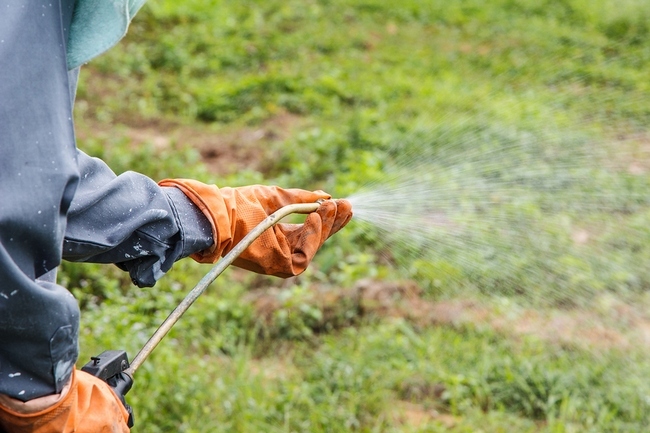 The bad news is, most people just reach for some commercial weed killer, also known as herbicides, and spread it or spray it all over. Weed killers affect much more than just the weeds. They can cause cancer in humans and animals and kill small, beneficial insects such as bees and butterflies. Later, when it rains, these weed killers wash off, run downstream, and end up in our drinking water, lakes, streams, and oceans. Used in large enough quantities, many people find that they begin having negative health problems within hours after applying or being in contact with these pesticides. Poisoning symptoms include rashes, severe headaches, nausea, vomiting, dizziness, and much more. There really is no need to use these cancer causing weed killers. There are dozens of methods of getting rid of weeds, all of which are natural and harmless to bees, humans, and wildlife. We have compiled a list of 12 different ways you can kill weeds and have a killer garden this summer. Keep reading for the best ways you can get rid of weeds naturally, easily, and toxic free! For this method, you can use either white or apple cider vinegar, whichever you happen to have on hand. Both will work equally well. The high level of acidity in vinegar will go a long way towards killing weeds. Start by diluting the vinegar with equal parts of water. Later you can increase or decrease the amount of vinegar depending on the results you get. Large, established weeds might need to be sprayed more than once to kill it completely. Some people like to add a few drops of dishwashing soap to the mix to help it stick better to the leaves. Spray the plant in the morning so the sun can accelerate the process. If you have the opportunity, you can prepare your garden bed in advance using solar power. If you live in an area with warm springs, you can do it then, or wait until the early summer and your garden will be ready by fall. This method is great for those who have a great deal of weeds or a great deal of space and you don’t want to break your back pulling out weeds or hoeing for hours. This method will not only kill current weeds, but most seeds and even some garden pests. Simply buy some thin, black plastic (this is sold at any garden store) and cover the ground with it. Secure the loose ends by piling soil or rocks all along the edges so that the plastic fits as tightly as possible over the area. That’s it. Let the sun do its work. This method denies the weeds and seeds sunlight but heats up the ground so much that almost everything underneath is killed. Remove the plastic after 4 to 6 weeks, remove the dead weeds, add your compost, and you are ready to go.